The Italian fashion capital once again captured an array of style on the catwalk at Milan Fashion Week. 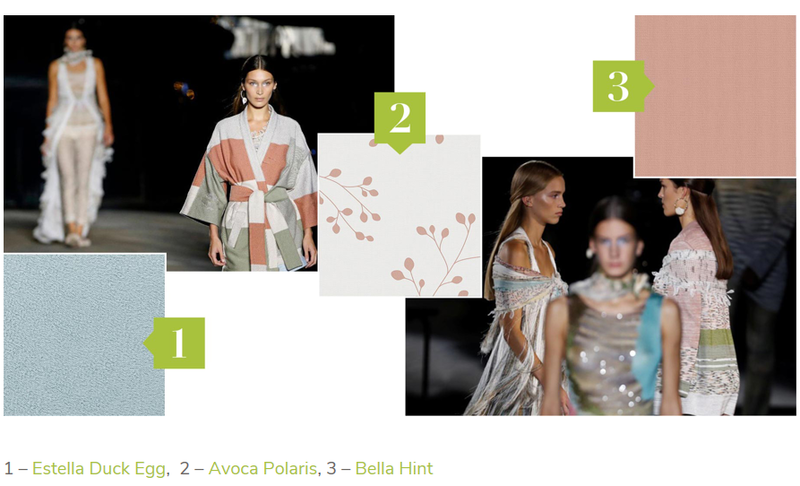 Among a number of high-end designers such as Versace, Prada and Fendi, we took a look at some of our favourite fashion pieces spotted on the catwalk with these inviting tones and attention to detail that inspired our fabric collections. 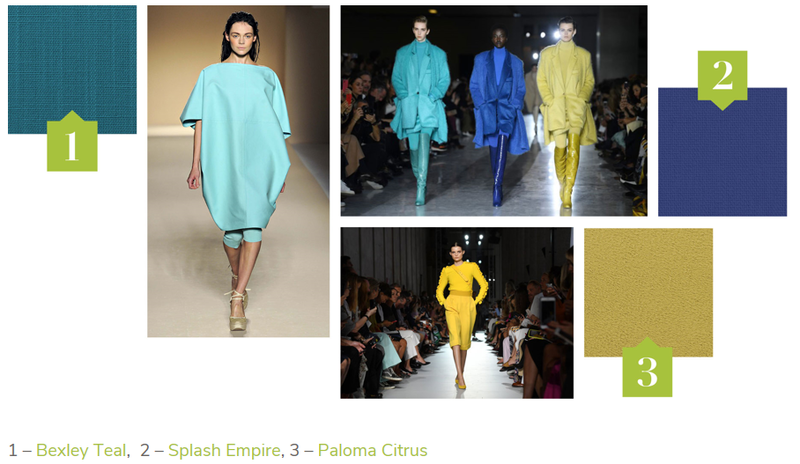 Max Mara brought glamour and strength to the walkway with prime bold colours such as teal, cyan and chartreuse. We loved seeing these trend led colours take on the runaway as the models walked in groups of three in similar boxy silhouettes. This year The Fabric Box collection introduced refreshed palettes with the addition of similar tones. Our signature Splash collection of plains resonates with the tones of the runway, offering 60 shades; strong contemporary tones mix with an abundance of colour to refresh any interior in style. New to the collection this year are ranges such as Bexley and Hanson, which not only offer a strength of colour but also incorporate a subtle texture for added warmth. Roberto Cavalli brought a display of shimmering fabrics to the runway alongside classic prints. His attention to detail saw statement outfits embellished and finished off with stunning accessories. This collection reminds us of our metallic led designs such as Shima, our rich metallic fabric with its subtle shimmer among a variety of classic metallic tones; and Metz, our two-toned print which captures the light from its shimmering design. Missoni also brought metallic inspiration as they celebrated their 65th anniversary by looking towards the future. Uncomplicated with light layering, Missoni showcased a collection of relaxed elegant tones from off whites through to delicate pinks alongside metallic pastel eye shadow to complete the look. 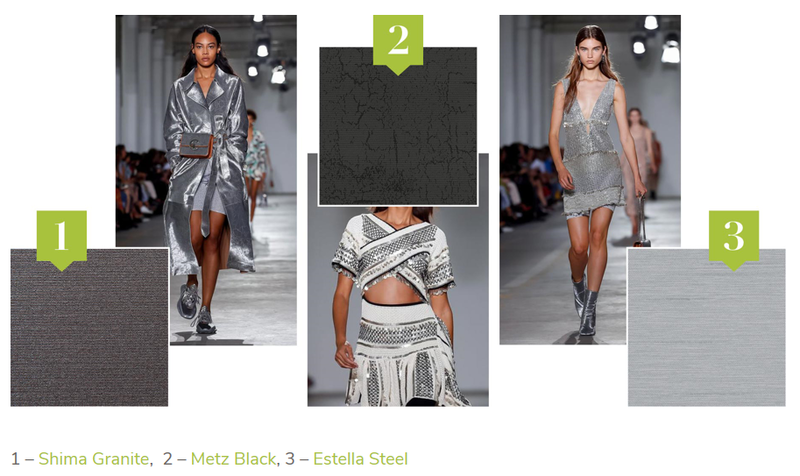 It certainly made an impact on us and we love being able to compare these catwalk looks with our fabrics. Avoca brings out the softer side to the Fabric Box collection with its subtle metallic berry design on a range of pastel backdrops and Paloma’s faux suede texture adds a soft luxurious feel.